1. Begin your booking process by scrolling down past the instructions to the calendar. Click on the country drop down, see picture 1. 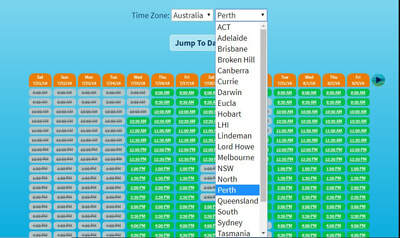 After choosing AUSTRALIA from the first drop down then choose your STATE from the second drop down, see picture 2. 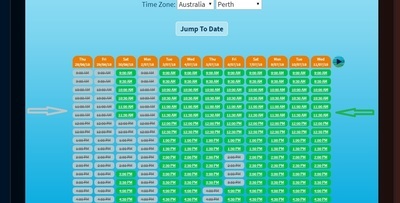 Choose your day and time by clicking on the dark green squares, the grey squares are booked. Please work from my calendar no other times are ever available. 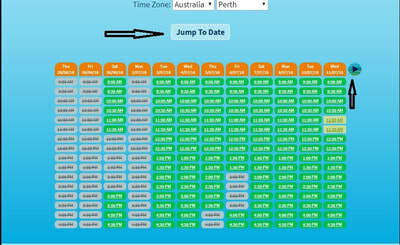 You can only book up to two weeks ahead on my calendar, you can click either the "jump to date" or green arrow marked with the black arrow in picture 2. 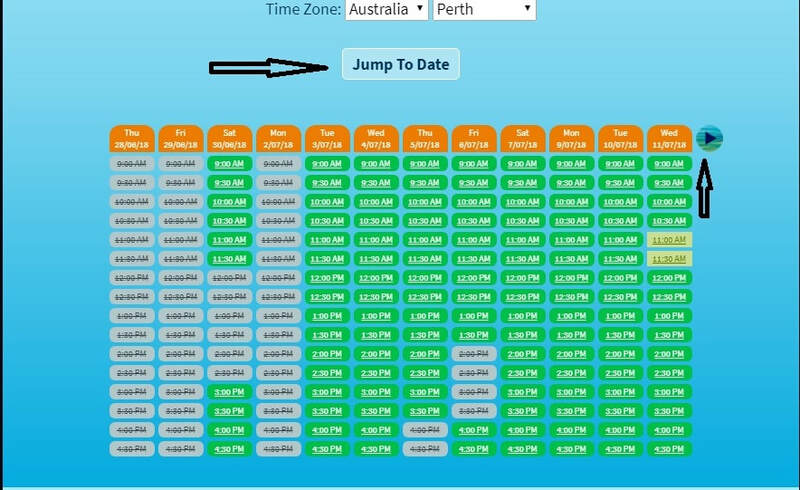 ​Please understand the pictures below are just examples of how to place a booking, you cannot place a booking from them, you will need to scroll further down the page to find the actual calendar. 2. Fill in your phone number, ensure the phone number drop down is set to Australia. 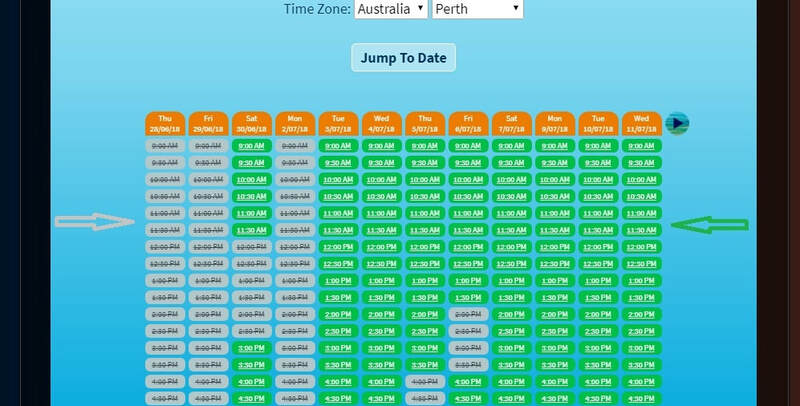 From there first name, surname and email address, also whether you wish to book an hour or 30 minutes (click on the drop down where it says one hour). Then click "confirm booking". You should then have a "Thanks " your name " " page that will come up, when you see this page you know you have booked successfully but please check your emails anyway. Your booking should now have been made and you should have an email from "psychicsun7@gmail.com" notifying you of your booking. If you do not have this email, you have not successfully booked, so please check for it. If you do not have it you will need to begin the process again. Picture No 6 gives an example of what the beginning of your email notification should look like. Check your spam folder! Please understand the pictures below are just examples of how to place a booking, you cannot place a booking from them, you will need to scroll further down the page to find the actual calendar.